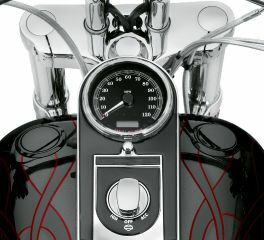 Whether you need a replacement motorcycle fuel gauge or are simply changing the look of your bike, Harley's shop has you covered. 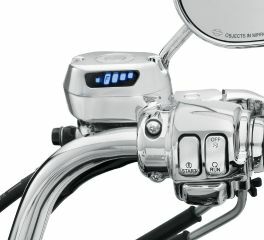 This low-profile fuel gauge replaces the analog readout with bright LED lamps. 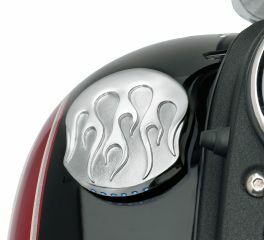 The six edge-mounted LED lamps glow blue when the tank is full and extinguish one by one as fuel is consumed. 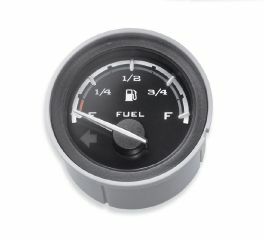 This low-profile fuel gauge replaces the analog readout with bright LED lamps. 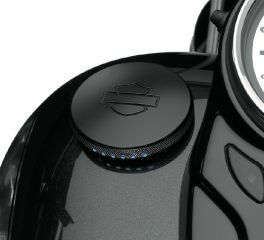 The six edge-mounted LED lamps glow blue when the tank is full, and extinguish one by one as fuel is consumed. 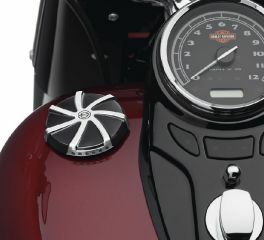 This low-profile fuel gauge matches the profile of the Original Equipment fuel cap and replaces the analog read-out with bright LED lamps. 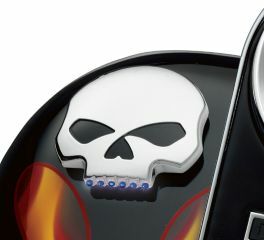 The six edge-mounted LED lamps glow blue when the tank is full, and extinguish one by one as fuel is consumed. 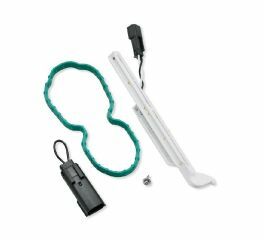 Fuel Level Sensor Kit accurately monitors the fuel level and relays information to the LCD display for convenient at-a-glance viewing. 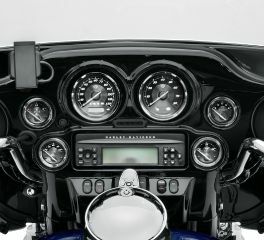 Upgrade your FXD Super Glide® model to dual instruments. 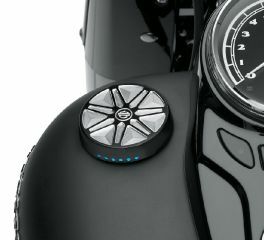 Finally, keep an eye on your Sportster® model fuel level without watching how many miles you have traveled. 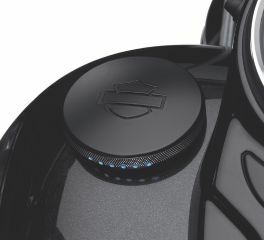 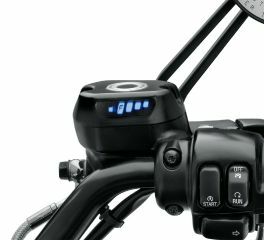 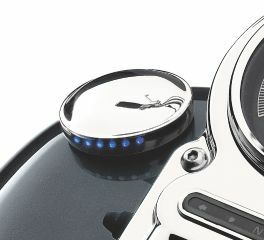 In-tank sending unit employs capacitive sensing technology to accurately monitor the fuel level, and relays the information to a handlebar-mounted LED indicator for at-a-glance viewing. 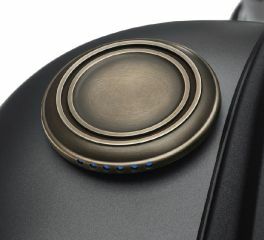 Add a touch of luxury and style to your dash. 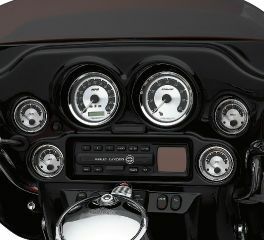 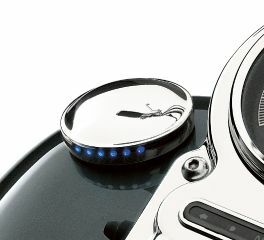 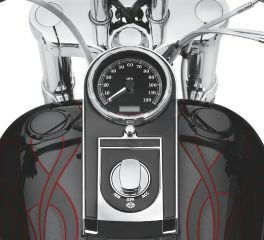 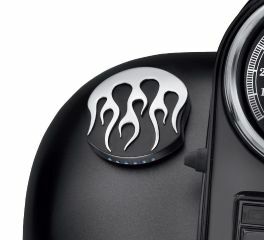 First featured on the '04 Screamin' Eagle® Deuce™ and Electra Glide® models, these Spun Aluminum Metal Face Gauges offer a rich contrast to a chrome console or black inner fairing surface.